Naomi Grill is a traditional restaurant offering Kosher cuisine. The average price of a main course dish at the Naomi Grill restaurant is 14 euros. The average price of a 3-course meal at the Naomi Grill restaurant is 36 euros. Note that although GoMadrid.com strives to maintain all information about Naomi Grill up to date, the prices mentioned are only an indication and may not reflect the exact value of your meal. 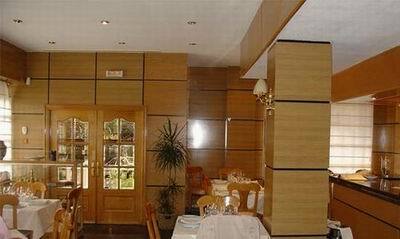 NAOMI GRILL is a Kosher Restaurant supervised by the Rabanut Harashid from the Jewish Community Center of Madrid, Rab. Moshe Bendahan. They can delivery meals for shabat to your hotel. This is great kosher food. The address of the Naomi Grill restaurant is: Calle Pensamiento, 25, 28020 Madrid. The nearest Metro station is Tetuán. Please see the Naomi Grill restaurant location map below.